Increase bone health along with the help of calcium. Strong bones are especially important to athletes because our bones protect our hearts and lungs, and anchor our muscles. If you’ve ever suffered from a stress fractures or broken bones, you know that weak bones can hinder your athletic performance, which is why vitamin D is so important for people who are physically active. Increase muscle mass and strength. One study found that vitamin D acts directly on muscle to increase protein synthesis, which can lead to an increase in muscle mass, weight gain, and a decrease in the rate of muscle fiber degradation. Vitamin D also increases the size and number of the muscle fibers that are used for short bursts of speed and power, another benefit for any athlete who seeks to perform at their peak. Improve lower body strength. Taking vitamin D with calcium can help you build strength in your legs, improve your overall physical performance, and prevent falls. Regulate the immune system and protect against certain diseases. Research suggests that vitamin D may play a major role in the inhibition of viruses. If your vitamin D is low, your immune system may be less effective. Click here to learn how InsideTracker can recommend several vitamin D-rich foods to fit your unique taste preferences! What happens when you have low levels of vitamin D? According to the government’s National Health and Nutrition Examination Survey, the majority of Americans are deficient in vitamin D. The Institute of Medicine recommends that adults have Vitamin D blood levels of 30 ng/mL - 74 ng/mL. The recommended daily intake is 600 IU, but if your vitamin D levels are low you may need to take more. The only way to know whether your vitamin D levels are adequate is to have your blood levels checked. InsideTracker blood analysis includes vitamin D and will tell you not just whether your levels are normal, but whether they are optimal for you. InsideTracker has worked with many athletes who have low vitamin D but do not realize it. What are some causes of vitamin D deficiency? You don’t consume enough vitamin D from food. If you’re a strict vegetarian, you may want to consider a vitamin D supplement or consuming more foods that are fortified with the vitamin because many of the natural sources of vitamin D are animal-based. Think fatty fish (such as sardines, mackerel, and salmon), egg yolks, butter, beef liver, cheese, and fish oil. Some foods, such as milk, yogurt, cereal, and orange juice, are now fortified with vitamin D. You don’t get enough exposure to the sun. Your body naturally makes vitamin D when your skin is exposed to the sunlight. If you live in a northern latitude (for instance, Boston receives less sunlight than Miami), or you use lots of sunscreen (which blocks the UV radiation that you need to synthesize vitamin D), or you wear clothing that covers most of your skin, you may be at risk for vitamin D deficiency. This means that athletes who train indoors during winter months may have to rely on their bodies’ vitamin D stores, which further increases their risk for deficiency. It’s important not to overdo your sun exposure, though, because of the risk of skin cancer. You have darker skin. The pigment melanin, which is more prevalent in people with darker skin, reduces your body’s ability to make vitamin D in response to sunlight exposure. You are an older adult. As you age, your kidneys are less able to convert vitamin D into its active form, which increases their risk for deficiency. Certain medical conditions, including Chrohn’s disease, cystric fibrosis, and celiac’s disease can affect your body’s ability to absorb vitamin D from any food that you consume. How can you increase your vitamin D? The three ways to raise your vitamin D levels are through diet, sunshine, and supplements. If you have one of the risk factors listed above, you may find that it is difficult to raise your vitamin D to optimal levels with food alone. Because of the dangers of excess sun exposure, you might want to talk to a physician to see if taking a supplement is the right choice for you. In the case of supplements, vitamin D is available in two forms: D2 and D3. Since most steps involved in the metabolism of vitamin D2 and D3 are nearly identical, the two forms have traditionally been regarded as equivalent. While nutritional doses of D2 and D3 are equivalent, however, high doses of vitamin D2 are less potent. 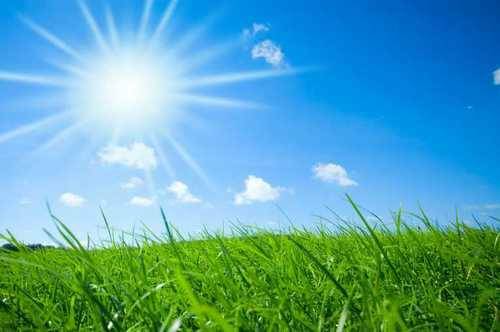 To sum it up, if you go outside daily and have reasonable exposure to the sun, your vitamin D levels might be fine. But the only way to be sure is to get your blood tested. InsideTracker will measure your vitamin D levels and tell you how to improve them if they are out of range. Since so many Americans have low levels of vitamin D, it’s better to be safe than sorry!